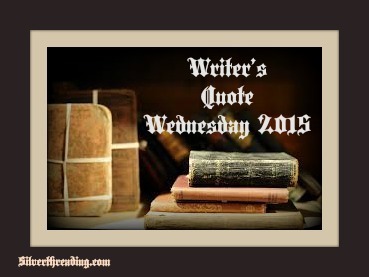 Writers Quote Wednesday – Dr. Martin Luther King, Jr. Thanks to Colleen over at Silver Threading for facilitating this weekly community event. Time to put your writing caps back on, and start honing your blogging focus. We often create posts hoping that someone in particular will see (and appreciate) our work. Today, publish a post for that person — whether they’re a real-life figure or not — and stretch your blogging chops as you do. It’s funny; you weren’t my target audience when I started this blog. When I responded to the question: who would I love to connect with via my blog during the first Blogging 101 assignment you didn’t even cross my mind. But here I am writing to you my Dream Reader. Let’s be honest with each other; you and I don’t really know each other. We had a chance encounter that lasted all of thirty seconds over twenty years ago. Yet, I can still see your face and oftentimes think of you when I am in the tunnel where we first met, and believe I would recognize you if our paths were ever to cross again. But, really we know nothing about each other except what we were able to assess in a snap thirty seconds over twenty years ago. It was late on a Friday night, nearing 1 a.m. and the subway was going to stop running soon. I wanted to make sure I made my connection for the last Mattapan trolley that would take me home. I was young and had been working in the City for only a couple of years at the first job I landed in commercial real estate after graduating from college. I was heading home after a night out with my girlfriends. I had a few drinks too many that night and I was very aware that my intoxicated state made me vulnerable. Intoxication also heightened my defenses. Our paths crossed in the T walkway at State Street, a long, cold corridor connecting several different subway platforms. You did not know that even during the daytime that corridor and the one that connects Downtown Crossing and Park Street stations creep me out. They make me feel vulnerable as a woman walking through them alone when they are not filled with other commuters. How could you know? You did not know that sense of vulnerability did not stop me from using either of these corridors. I just walked through them with intentness and purpose and with an attitude which proclaimed I belonged there challenging someone to dare say anything to the contrary. How could you know? I was half-running, half-walking that empty corridor, veering towards my right so that the wall would hold me up if I lost control as I raced towards the Forest Hills platform. Periodically, I adjusted the skirt my junior high teacher, Mrs. Proctor, would’ve sent me to the principal’s office for wearing because the hemline was too short. You heard the sounds of my high heels clicking and clanking on the cement floor of the hallway before your eyes caught mine. I heard the sound of your footsteps, a man’s footsteps coming down the hall towards me. Our eyes met as I tried to somewhat gracefully bolt by you onto the subway platform. I nodded and smiled but refused to stop. I noticed you were 10 – 15 years older than me, a touch of gray scattered throughout your hair and facial hair adorning your light mocha colored face. You wanted me to converse with you. I wanted to get to the subway platform before my train arrived. You did not know that my adrenaline coursed faster and my defenses heightened the moment I heard the footsteps of a man approaching me. How could you? I did not know you simply wanted to tell me to slow down, there was still time before my train arrived. How could I? You did not know that I found the scent of your cologne breathtaking and that I was struck by your handsomeness. How could you? I did not know you just wanted to say hello. How could I? You did not know that my fear that you sensed had nothing to do with your blackness but everything to do with you being a man, a stranger and I an inebriated young woman. You did not know it was not my whiteness that feared the man approaching me, it was my womanhood. How could you? I did not know that you were going to react to me from a history of being treated with fear because of the color of your skin. How could I? You did not know that it was not your blackness that made me continue to dart to the subway. How could you? I did not know you wanted to compliment the sparkle of my eyes. How could I? You did not know that before I moved into the City, I spent nearly every Saturday for three months visiting different neighborhoods looking for a racially diverse neighborhood; not wanting to be the only white face in the neighborhood while also not wanting to see only white faces in my neighborhood. How could you? I did not know that you had endured a lifetime of being treated as the villain – labeled and viewed as the criminal since you were a black boy growing into the feared black man. How could I? You did not know that I was rushing home to my boyfriend, his skin the same light mocha as yours, the son of a black-American father and Trinidadian mother. How could you? I did not know that you were going to tell me to stop adjusting my skirt because it looked fine the way it was without me trying to stretch the material down. How could I? You did not know that it was your footsteps coming towards me that frightened me. How could you? I did not know you were so accustomed to being viewed as the problem and not part of the solution that even you sometimes forgot that you could be the latter. How could I? You did not know that at times it seemed, because it was so, that I felt more comfortable, safer in city neighborhoods that were traditionally black than I did in city neighborhoods that were traditionally white where history showed us outsiders weren’t welcome. And, I was an outsider in spite of my whiteness and shared ethnic heritage. How could you? I did not know that you were one of the countless black men stopped by the Boston Police Department in the Fall of 1989 after Charles Stuart killed his pregnant wife and unborn son, blaming it on the non-existent black male assailant. How could I? You did not know that when I heard the strong sounding footsteps of a man coming towards me I did not care whether he was white, black, brown or yellow. How could you? I did not know that you had noticed I was a bit tipsy and just wanted to make sure I got to where I was going. How could I? You did not know that I had never been judged by the color of my skin before. How could you? I did not know that you had lived a life constantly being judged by the shade of your skin – too black in the white community and often not black enough in the black community. How could I? I cringed as you yelled at me. I wanted to sink under the subway floor, embarrassed and hurt because I wasn’t that kind of girl. The kind who was raised to fear and even hate someone based on skin pigmentation. Seconds later, annoyed that you mistook me for that type of girl based on my whiteness, I turned to explain to you that wasn’t who I was. You were already gone. You angry, I annoyed. We did not know had we just met each other an hour before the last subway train or under other circumstances we could have been friends. How could we? Our brief encounter took place before there was a Missed Connections feature on Boston.com or Craigslist. Otherwise, I would have written: W4M Mocha skinned brother who yelled at me in the State Street Corridor on Friday night after midnight, let’s meet for breakfast at the Silver Slipper on Sunday morning. And, I know you would have met me there. We did not know we could’ve been friends. How could we? So instead, I periodically think of you when I hurriedly pass the spot where our eyes first met. And, when after the killing of an Oscar Grant, Trayvon Martin, or Mike Brown our nation’s attention turns momentarily to the dastardly way black boys and black men are treated in this country and so many in white America still do not get it or believe it, I think of you. And, I get it. Walking on the train platform this morning, a young man wearing a heather gray hoodie rushed quickly by me brushing my arm as he shot past. He simultaneously startled me out of my pre-caffeine morning stupor. In rapid fire succession my thoughts bounced from “I am Trayvon Martin” to “If Massachusetts was a Stand Your Ground state, could someone like a George Zimmerman claim they felt threatened by the young hoodie clad man from such seemingly innocuous physical contact” to “I am not Trayvon Martin” as I noticed the whiteness of the young man’s jaw line. This brief encounter jarred me. It has been just over a month since the verdict in the Trayvon Martin case was handed down and George Zimmerman was acquitted. I, like many Americans, was shocked and angry at the verdict. I question the functionality of the jury system in our country – having served on several juries both criminal and civil, I have felt for some time that our jury system is broken. Yet it is not just our judicial system that has brought us to this point in our history. It is the fabric of our society that still feeds on racist ideologies. We live in a nation of Trayvons, young African-American boys and men who are marginalized and disenfranchised from main stream America; feared because of the color of their skin, the clothes they wear and the zip code in which they were born. I am left wondering how far have we really come. When will this centuries’ long fear of black men and war against them ever end in our American society? In response to the George Zimmerman verdict, our President has suggested we have a national dialogue on race and racism. A good place to start would be for Americans to understand and admit that race played a factor in the killing of Trayvon Martin and the freeing of George Zimmerman. What if that February night it was Tracy Martin who went out for skittles and iced tea? While driving back home, he happens upon a suspicious looking (read different than me) white teenage boy wearing a hoodie over his Red Sox baseball cap. What if the events played out as they did that February night between Trayvon and Zimmerman and the end result was a white teenage boy lay dying on the ground from a single gunshot at the hands of a black man? Take everything you know about the Zimmerman case and picture Trayvon as a 17 year old white boy and Zimmerman as a dark skinned male such as Tracy Martin. Do you think the results in this case would be the same? There is no doubt in my mind in that case, Tracy Martin, an African-American man, would have been arrested at the scene and the same jury that freed George Zimmerman with all the same evidence and testimony would have convicted a black man of murder. Race was a factor in this case from the moment Trayvon Martin and George Zimmerman’s paths crossed, actually even before. For me, one of the difficult things and reasons I cannot shake the image of Trayvon in his hoodie is that I can relate. When I see Trayvon and look into his eyes, a series of images flash before me. Like our President, I see the image of the son I did not have, he would have looked something like Trayvon; I see the man in my life as he was 30 years ago, yes he could’ve been Trayvon; I see the faces of our nephews ages 2 – 20, any one of them could be Trayvon; and as someone who has volunteered as an after school teacher and mentor in the Boston Public Schools for the last six years, I see the faces of my students, Kevin, Bishop, Laquan, Rishtly, DeShawn, Jaydee, Luckenberg, Ronnie and countless others. That is what sticks with me. It disturbs me knowing that some will never know or even care to know that Kevin is the youngest of six children, all five of his older siblings have gone on to college (his parents will accept nothing less than that from each of their children) and Kevin wants to study engineering at MIT; that Bishop is in one of BPS’s gifted and talented programs, a middle schooler with a temperament as sweet as he is intelligent, Bishop has a keen interest in history and social justice; that Laquan is a natural leader, excited to be part of the mentoring program, he is a gifted athlete who worries about the urban drama being played out on the streets around him and hopes to have a career in the NFL; that Rishtly, who is painfully shy and would barely utter a word at the start of the semester, contributes to class incessantly by the end of the semester, and wants to study aeronautics; that Jaydee is a gifted and talented artist already at the age of 12. Inside each of my students I see the gifts and talents each of them possess; I see the possibilities of their futures; I see this and so much more while recognizing that as young men of color that reaching their full potential will be more difficult simply because in our America, fifty years after the civil rights movement, their lives are still oftentimes viewed as having less value than that of their white counterparts. For as far as our society has come, there are still too many who will judge them simply by the color of their skin. This is why, when I see a picture of Trayvon Martin, I do not see simply Trayvon but the faces of countless others who could far too easily become the next Trayvon.